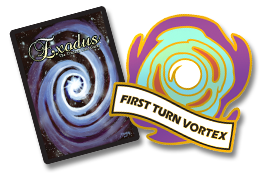 Exodus TCG - PRE-ORDER Magazine #3 for an Exclusive Bonus! Magazine #3 PRE-ORDERS Now Open! What's up?! 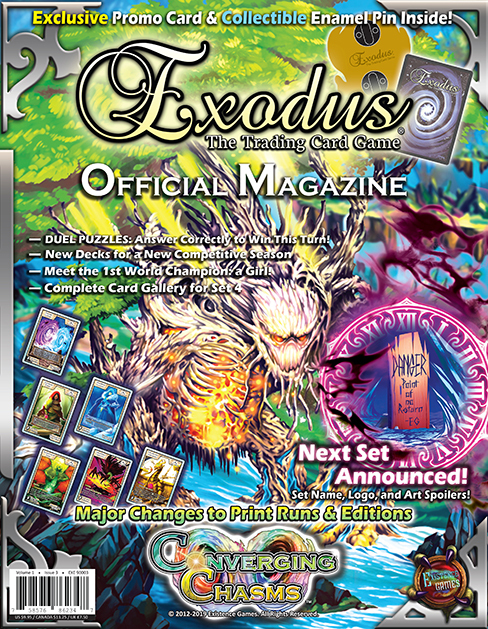 We've got some awesome news for you: after lots of hard work and eager anticipation, the Exodus TCG Magazine Issue #3 is NOW AVAILABLE! YES, it's finally here! And to compensate for the long wait on this issue, we've packed this magazine with more content than ever! Magazine #3, believe it or not, is bigger than BOTH Magazines 1 and 2 combined. Pre-Order Bonus: We'll autograph the cover of every Magazine that's ordered before April 5. Don't miss out!